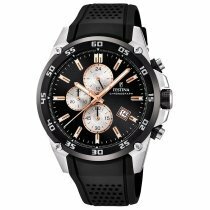 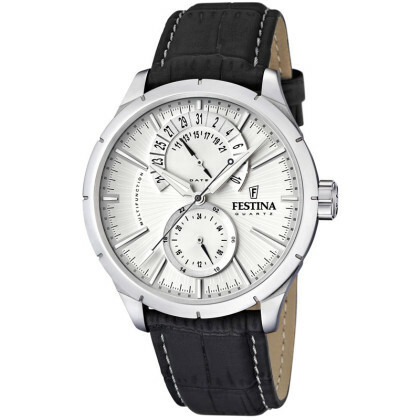 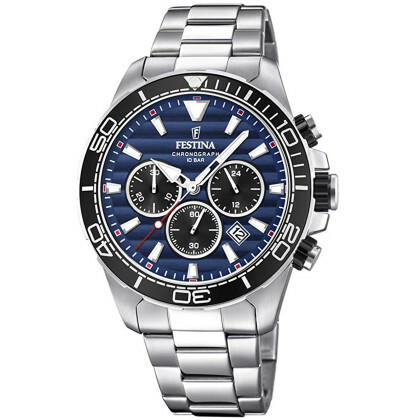 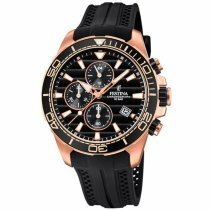 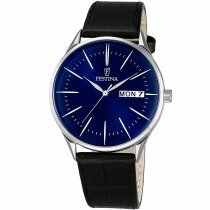 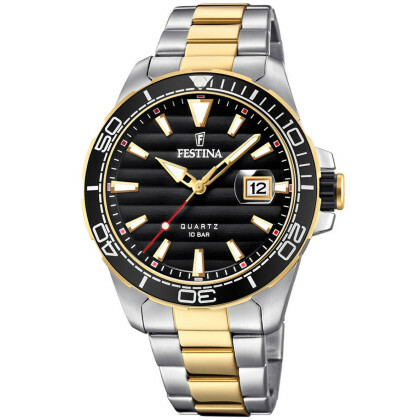 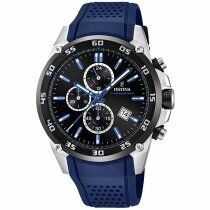 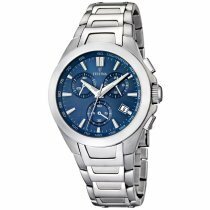 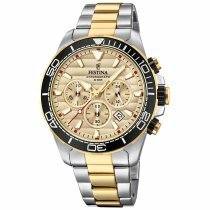 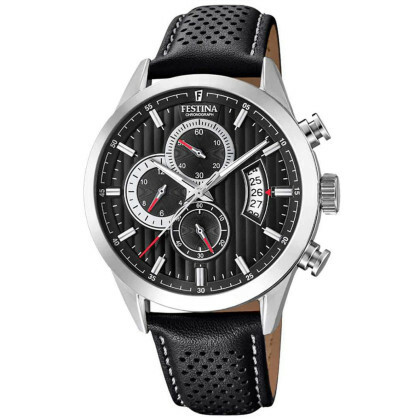 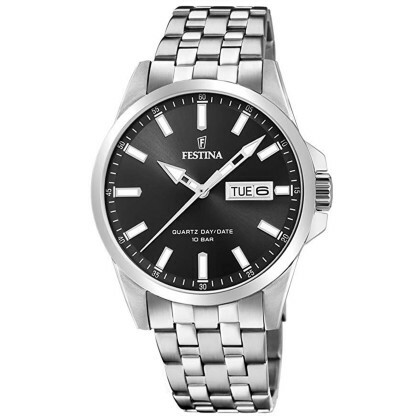 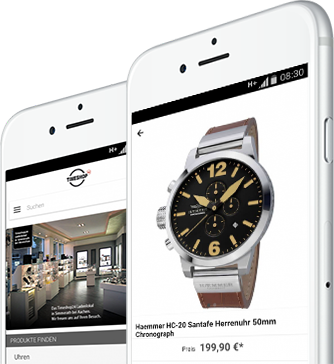 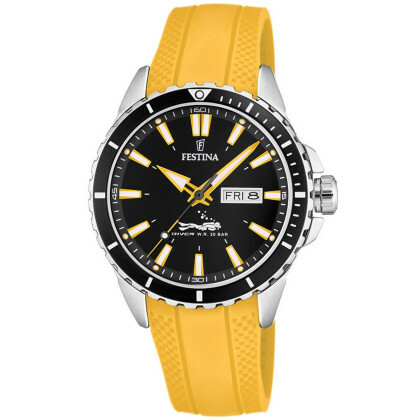 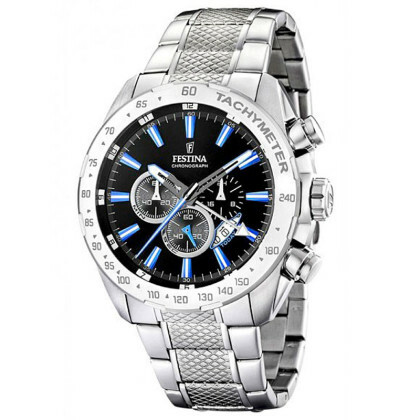 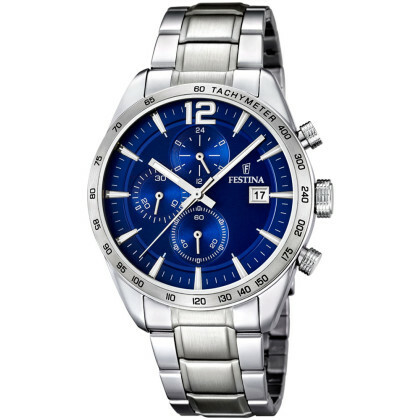 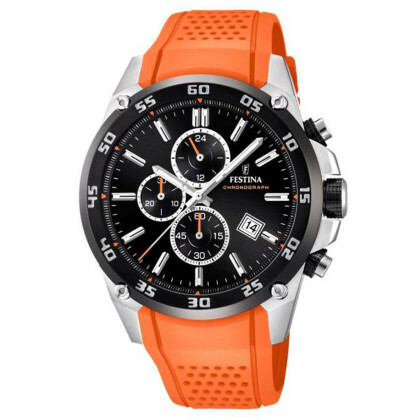 ⌚FESTINA Watches: buy cheap, get fast & postage free! 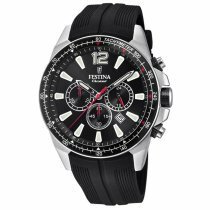 Few years after the Spaniard Miguel Rodríguez took over Festina, the company entered the professional cycling business with its own cycling team and in 1998 became official timekeeper for the major European cycle races Tour de France, Giro d'Italia and Vuelta a España. 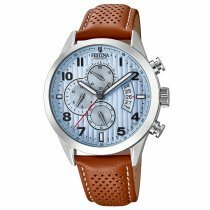 Inspired by the world of cycling, the Chrono Bike Collection was created in 2013 for the 100th anniversary of the Tour de France. 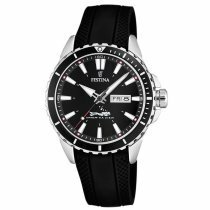 There is a lot of love in the details: a toothed bezel in combination with the subsidiary dials reminds of a drive pinion, a Super IP Black bezel coating gives the model a rapid appearance and is - just like the triple-coated mineral glass - extremely scratch-resistant. 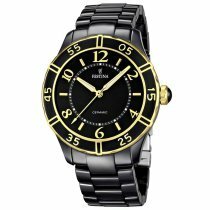 Another small technical masterpiece is the bracelet, which not only resembles chain links, but is also just as flexible and therefore very comfortable to wear during sporting activities. 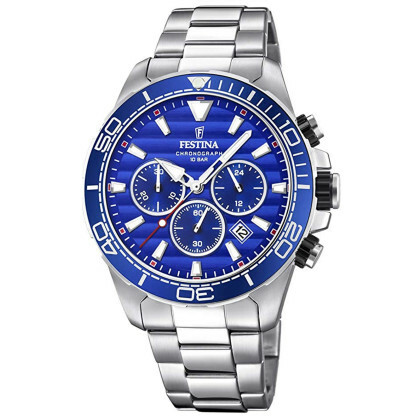 In addition to current models from the Chrono Bike Collection, you will also find many other exciting models in our watch onlienshop - take a look around and find your dream watch from Festina! 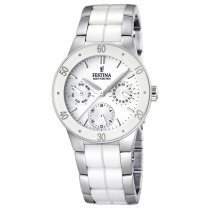 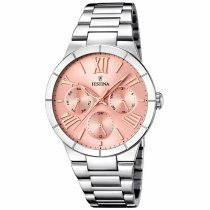 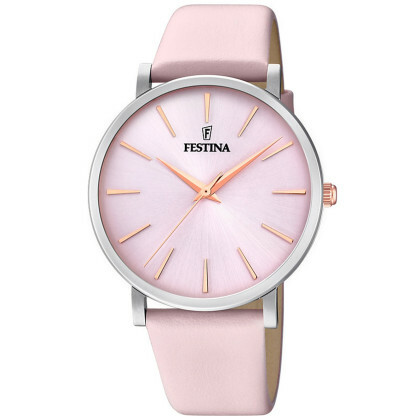 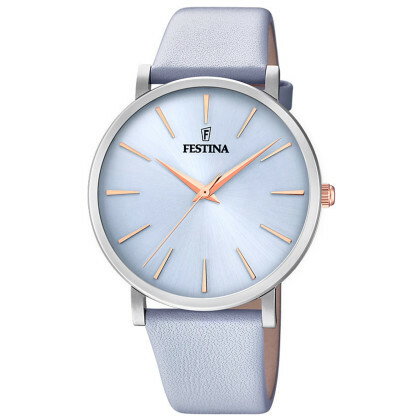 Festina impresses not only with its sure instinct for good design but also with the variety of its watch models for women and men. Distinctive sportiness is represented here as is timeless elegance.